As a school committed to excellence, we will educate and inspire our students to be responsible, productive and ethical world citizens with the skills and passion to think creatively, reason critically, communicate effectively and learn continuously. We will accomplish this in an American educational environment characterized by high measurable standards and a clearly defined, appropriately interrelated college preparatory curriculum, implemented by a superior staff in partnership with students, parents, and the community. 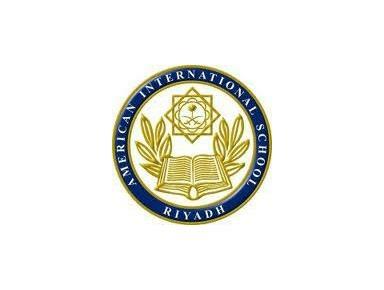 As you enter the American International School-Riyadh's energized campus, you will be greeted by 50 colorful flags waving in the soft desert wind, celebrating our 47 years of excellence in international education. At the same time, you will be captivated by our diverse expatriate community, engaged in the discourse of learning. 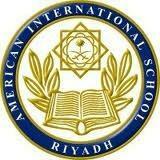 Throughout our distinct history, AIS-R has enjoyed a solid reputation for rigorous academic standards, innovative practices, and outstanding co-curricular programming. We are a proud mission-driven community of learners, immersed in an ethos of shared beliefs, achievement, and celebration.Our mission commits us to excellence, and our vision challenges us to prepare learners for enriched opportunities ahead. So, as a 21st Century learning organization, we are dedicated to nurturing responsive and motivated students through a dynamic, success-oriented education program. We proudly uphold full accreditation awarded by the New England Association of Schools and Colleges (NEASC) and the Council for International Schools (CIS), and we are authorized to grant the International Baccalaureate (IB) Diploma. As a result, AIS-R's graduates readily matriculate to an array of the most prestigious colleges and universities worldwide.